Moose alert - locals warn these huge beasts will wander right onto the road when least expected - often with tragic endings. I saw none. 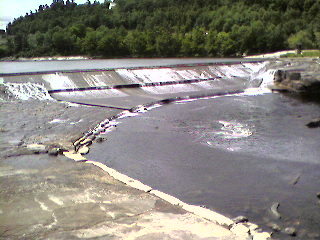 Did see waterfall in Bethel, ME.